Playtech have taken over where Microgaming have left off. Playtech reaching new heights in the U.K. Casino Market place with their awesome software was only a matter of time as Microgaming who once dominated that field of software in the U.K. have fallen by the way side which was largely due to Legalities and Jurisdictions. Playtech’s hold a huge market share within the UK sports betting sites together with Eyecon and Quickspin which have helped maintain the dominance of the UK casino supplier space, and although the exclusive tabs it has with major UK betting sites they do play a key role, as reported by specialist tracking service iGaming Tracker. 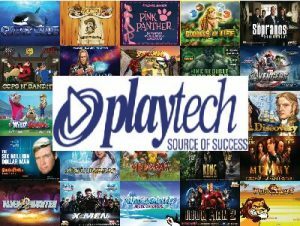 Playtech do however have Operator-owned suppliers increasing their share of the UK market with the likes of Cayetano (Paddy Power Betfair) and Core Gaming (Sky Bet) all of whom are making the mark and are taking their place on the ladder. This entry was posted in Online Casino Guide on June 7, 2017 by Admin.